Local Entrepreneur Danny Bamping who stood as an Independent Candidate in Plymouth Sutton & Devonport Constituency in last week’s general election on June 8th; has published an open letter to the CEO of Plymouth City Council and acting returning officer – Tracey Lee and has asked her to resign. In it Mr Bamping goes through in detail the mistakes they have made; how it affected him and his supporters and [potential] voters who could not Vote. He also goes into detail about the council’s errors and also how their election return was published and announced inaccurately and why it could have been so easily avoided. “It is pure incompetence and an absolute shambles that these mistakes have been made and it casts doubts on your ability to manage the election process fairly and democratically [and mathematically] in the future. I suggest that under the circumstances; with everything considered and as a member of the public [and a Parliamentary Independent Candidate] I hereby ask that you should resign from your CEO role as you are clearly a liability. As the majority of voters got to the polls today and some are left at home still waiting for their postal votes probably never to arrive…the Plymouth Independent Candidate Danny Bamping – launches 2 more Public community interest organisations, both focused upon ‘accountability in public office’ and ensuring the public get justices and access to an independent service. Much like the Crown Prosecution Service – but run and controlled completely by the public. Would Only Non practicing Barristers and Lawyers to ensure no Law Society members or Court Officers are involved. It would offer a regional service to the public to be able to prosecute when the Police & CPS has either failed to do their job; or the case presents a clear conflict of interest. Again in a similar vein as the PPS this would be another CIC non-profit organisation focused on replacing the IPCC or at least giving them an alternative route to take their complaints to and one which is ‘completely independent and run by the public’. Therefore, it is only logical that it is replaced – or we give the public an alternative option now so that they can take forward their complaint completely independently. If it is found that they have a strong case; then it would be logical for the aforementioned PPS to potentially become involved, should no remedy by found by the parties through mediation before having to use the public court facilities. Ironically, Danny is contesting the seat with Oliver Colville; one of several Conservatives who were under investigation for allegations of electoral malpractice from the previous 2015 election, Luke Pollard the Labour Candidate who was also investigated for allegations of electoral fraud after losing to Mr Colville 2 years ago by 523 votes [just over 1%]; both were fine and after a High Court hearing Mr Pollard was cleared of any wrong doing. On the 10th May the CPS decided to drop the charges against Mr Colville and 19 others. On the 2nd June the CPS decided to charge the Thanet MP and his agent and one other with several charges under the representation of the Peoples Act. Mr Bamping is to stand as an Independent Candidate in today’s general election, this ensures there will be at least 1 option on the ballet paper in Plymouth which is an Independent option not attributed or controlled by any political party or whip! Even though Mr Bamping considers himself to be a ‘none of the above’ vote…his name will be on the top of tomorrows ballot paper; and so it will be more like – ‘none of the below’. Danny Bamping Local Entrepreneur & Independent Parliamentary Candidate for the Plymouth Sutton & Devonport Constituency has announced three  Social Enterprises which he is going to launch over the next 12 months – whether he is elected on Friday morning or not. The New Local Currency for Plymouth to help keep money in the city and encourage people to use local independent shops, products and services. The Plymouth Pound will also be a member of the ‘Local Currency Network’ – linking it with 23 other towns and cities using or about to use local currencies; this includes Cornwall, Cumbria, Liverpool & Glastonbury. Restoring Historical and Nationally important Music and Arts Venues in the South West. 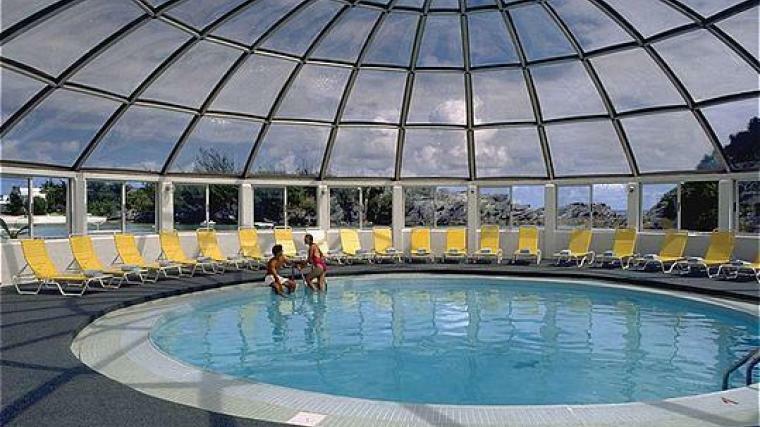 A plan to redevelop and modernise – Plymouth Dome and protect Tinside Pool inside a large retractable ‘dome roof’; enabling it to be used 24/7 rather than just on the 24th of July. It could also mean knocking down Plymouth Dome completely [which the council are considering at the moment] and building a more appropriate building that has more use to the people of Plymouth than expensive meals and coffees with nice views – whilst the masonic owner pays less than £1000 per month in rent. This building – built by the queen for the people of Plymouth – could be a perfect place to have a ‘platform/stage’ – where its roof currently is. Thus would instantly create an instant Music venue – amphitheatre which can be used for concerts, events, presentations and large projection screens. The idea could also link well with the new development with Drakes Island, something which has now got planning permission to move forwards. A smaller version of what Plymouth Tinside Pool Could look like in the fu ture; heated and enclosed & usable all year round. Mr Bamping is to stand as an Independent Candidate in tomorrow’s general election on June 8th. This ensures there will be at least 1 option on the ballet paper which is an Independent option not attributed or controlled by any political party or whip! 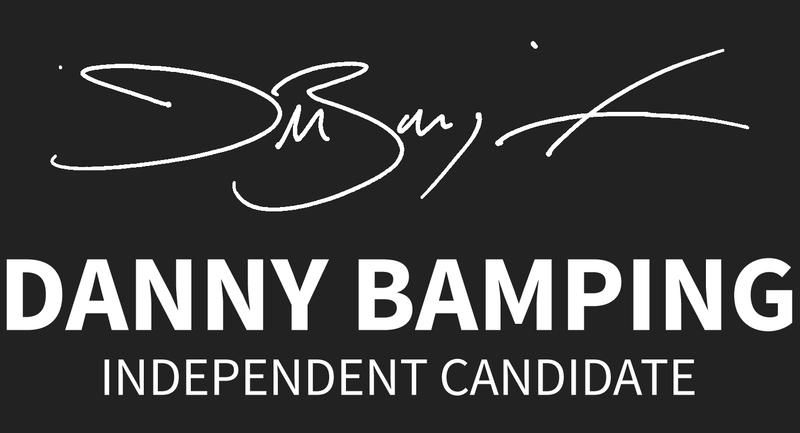 Plymouth Independent Candidate – Danny Bamping has launched a Campaign Song; Vote No Party. The song is focused on how we should be all voting for Independents and not Controlled Political Parties and putting your local interests’ first and not national party interests. It also mentions on the history of Parliament and how it only had independents for 600+ years and also encourages people in Plymouth to vote for Danny Bamping – the ONLY Independent Candidate within the local constituencies. A local musician in the constituency called ‘Agent P’ – wrote, produced and performed the song which is now available to buy on ITunes, Google Play & Amazon. A music video for the track has also been released on Mr Bamping’s You Tube Channel and website. The Plymouth Sutton & Devonport Independent Parliamentary candidate – Danny Bamping has put forward his first pledge to the People of Plymouth, which is focused on restructuring the Tax system. Mr Bamping is no stranger to the subject of Tax; as he has fought against paying Council Tax for the past 8 years; in 2012 Plymouth City Council made him Bankrupt for a debt a little over £2,000. However, a year later his Bankruptcy was found to be unlawful after his LGO complaint uncovered several counts of Mal-administration. Since then he has enrolled at Plymouth University and graduated with a Law Degree last summer. He is planning to annul the bankruptcy and has already made PCC aware of his intentions to claim on their professional indemnity insurance policy. Danny has spent the last 4 years assisting people up and down the country who have been threatened with or jailed for non-payment of council tax; he has managed to get several of these ‘civil prisoners’ out; via high court judicial review applications. He is focused on exposing the unlawfulness of Council Tax and the fake court hearings that happen once a fortnight; standing as an Independent Candidate gives the constituents a choice of voting for a No Party option and gives Danny a platform to communicate to his constituents and the vast difference between him and the ones controlled by a Party, their policies, their whip and a detailed act of Parliament. He decided to stand after the 2015 Election where in this constituency no Independent Candidate stood – so Danny brought his vote home; stuck it in a frame and hung it on the wall in his lounge, to remind him that next time he would ensure that there was someone on that short list – whom he could trust and vote for. Mr Bamping’s background in Wildlife and Environmental film-making; including his stance as a Green Entrepreneur for the last 20 years; this can be viewed on line on his campaign website – www.dannybamping.com which was launched last weekend. Conservative Oliver Colvile won this seat in 2010, unseating Labour by 1,149 votes. In 2015 he retained his seat by just 523 votes from Luke Pollard the Labour Candidate. Both were investigated by the electoral commission and police in respect of alleged electoral malpractice and they both overspend their budgets. UKIP [14%] & the Greens [7%] retained their deposits here in 2015; which was over 10,000 votes yet this year in 2017 neither party maybe entering a candidate at all. THAT COULD END 363 TAXES & BRING IN FOUR TIMES MORE REVENUE. The Plymouth Sutton & Devonport Independent Parliamentary candidate – Danny Bamping has put forward his first pledge to the People of Plymouth, which is focused on restructuring the Tax system. Mr Bamping is no stranger to the subject of Tax; as he has fought against paying Council Tax for the past 8 years; in 2012 Plymouth City Council made him Bankrupt for a debt a little over £2,000. However, a year later his Bankruptcy was found to be unlawful after his LGO complaint uncovered several counts of Mal-administration. Since then he has enrolled at Plymouth University and graduated with a Law Degree last summer. He is planning to annul the bankruptcy and has already made PCC aware of his intentions to claim on their professional indemnity insurance policy. Danny has spent the last 4 years assisting people up and down the country who have been threatened with or jailed for non-payment of council tax; he has managed to get several of these ‘civil prisoners’ out; via high court judicial review applications. He is focused on exposing the unlawfulness of Council Tax and the fake court hearings that happen once a fortnight; standing as an Independent Candidate gives the constituents a choice of voting for a No Party option and gives Danny a platform to communicate to his constituents and the vast difference between him and the ones controlled by a Party, their policies, their whip and a detailed act of Parliament. Danny’s Independent Candidacy is also supported by ‘Free Parliament’ a political organisation that has been around for a few years and supports Independent Candidates. He decided to stand after the 2015 Election where in this constituency no Independent Candidate stood – so Danny brought his vote home; stuck it in a frame and hung it on the wall in his lounge, to remind him that next time he would ensure that there was someone on that short list – whom he could trust and vote for. Mr Bamping’s background in Wildlife and Environmental film-making; including his stance as a Green Entrepreneur for the last 20 years; this can be viewed on line on his campaign website – www.dannybamping.com which was launched at the weekend. The Plymouth Sutton & Devonport Independent Parliamentary candidate – Danny Bamping has been effectively banned or not invited from the first 3 hustings in Plymouth. Last night the Green Book Club organised a husting at Plymouth University; there were 6 people on the Panel; 3 of which you could not vote for in this constituency anyway – The Lib Dem Candidate was from Moor View and then a representative from Christian Aid and another from Devon Wildlife Trust. The other half were candidates from the Plymouth Sutton & Devonport Constituency – Including the Labour Candidate – Luke Pollard and Oliver Colvile from the Conservatives and Daniel Sheaff from the Greens. Mr Bamping was invited to attend as a member of the public – but was NOT allowed to sit on the Panel; despite him previously been invited and then not invited by the organisers the Green Book Club. Mr Bamping did attend and made sure everyone was aware who he was; as the conversation and questions started to focus on ‘Party Politics’ and after Mr Colvile had declared that he had always voted in support & favour of his own Government in Parliament. Mr Bamping’s background in Wildlife and Environmental film-making; including his stance as a Green Entrepreneur for the last 20 years; this can be viewed on line on his campaign website – www.dannybamping.com which was launched at the weekend. Mr Bamping also revealed that he had not been invited to the Hustings Education event this morning at the CFE – but now had been now invited to the evening event – tonight at 18:30 at the same venue. The Independent Candidate has also been in touch with Rev Michael Shaw from Devonport in regards to next week’s husting event; but despite several calls and emails he has not yet received a response. Oliver Colvile has already declined an offer to that event. Taking in the Devon towns of Sutton and Devonport, this maritime seat occupies the southern part of the city of Plymouth, including the naval dockyards. Devonport remains the largest naval base in Western Europe, employing 2,500 forces personnel and civilians and supporting around 400 local firms in industries like engineering and boat building. Plymouth University’s main campus is in this seat. According to the 2011 Census this seat is home to lots of students, fewer than average over 45s and fewer family households than average. Home ownership is low and the private rental sector accounts for nearly a third of homes. Unemployment is above average. Important industries are accommodation and food services, public admin and defence. Conservative Oliver Colvile won this seat in 2010, unseating Labour by 1,149 votes. In 2015 he retained his seat by just 523 votes from Luke Pollard the Labour Candidate. Danny has raised just under £1250 via crowdpac funding which has enabled him to pay his deposit. Local Entrepreneur Danny Bamping is standing as an Independent Candidate in Plymouth Sutton & Devonport Constituency in the forthcoming general election on June 8th. This ensures there will be at least 5 options on the ballet paper and one which is an Independent option not attributed or controlled by any political party or whip! and Henrietta Bewley is also standing for the liberal democrats. UKIP & Greens who combined took 21% of the vote in 2015 have also now confirmed they will be fielding candidates.
. After more thought and some historical research he came up with the idea to create a global Independent Movement focused on Independent Candidates. No Party was formed with the intention on taking the party out of politics. Indeed, it seems the No Party Independents have history on their side as well. When Parliament was set up around 900 years ago – for its first 450 years; it only ever had ‘Independent Candidates’. However today, there is only 1 Independent Candidate in the House of Commons; out of the 650 who will be voted in this June 8th. Although after this June 8th election there could be a few more; Claire Wright has a very good chance in West Devon and came 2nd last time with over 14,000 votes. Indeed there seems to be a move towards Independents all across the county…Frome in Somerset has an ALL Independent council and just last week 8 Independents were elected to Saltash Council and now make up the majority of councillors. Danny wants to focus on driving home his ‘Independent / No Party Politics’ message. The No Party intentions are to change the conversation in the political debate and focus its attention on supporting Independent Candidates up and down the country. The No Party movement exists to energise all of the millions of other voters who are now completely disillusioned by the other parties, and to persuade them to Vote ‘Independent’. He even put forward his first pledge to the People of Plymouth, which was focused on restructuring the Tax system. Danny has raised just under £750 via crowdpac funding which has enabled him to pay his deposit.